 *Note: I wrote this post awhile back, but today is National Open House Day and homes throughout the Greater Dayton Area will be open. Sign up at any Open House and you will be registered for GC from Lowe’s. Remember the ground rules for Open Houses- the Realtor hosting the Open is working for the seller, so be very careful about giving that Realtor any thoughts and opinions about the property you are looking at, lest you enter into a Dual Agency situation (read about the caveat emptor of Dual Agency below). It allows you to refine your criteria to specific areas, specific price ranges, etc, so that when you hit the “Submit” button in the upper right corner, you get any homes listed as “Open Houses” in the Multiple Listing Service (MLS), and you also get all the information about that property that you would see through the MLS. So instead of a few lines of copy and one grainy photo, like the newspaper, you get a complete printout for the property. You can also map them, and, drumroll please, you can print them up. Cool, huh? One more thing, getting into the Dayton Area Board of Realtors MLS is easy- just click on the link on the upper right sidebar. But, if you want to make this really painless, a specialized home search can come to your inbox. It’s simple as can be, just let me know- 937-478-7781, and we’ll set it up for you. Some Realtors might call this a VIP Buyer Search, or some such thing, as if it’s something no other Realtor can offer. I think it’s basic customer service. When you are ready to automate the process, let’s talk.